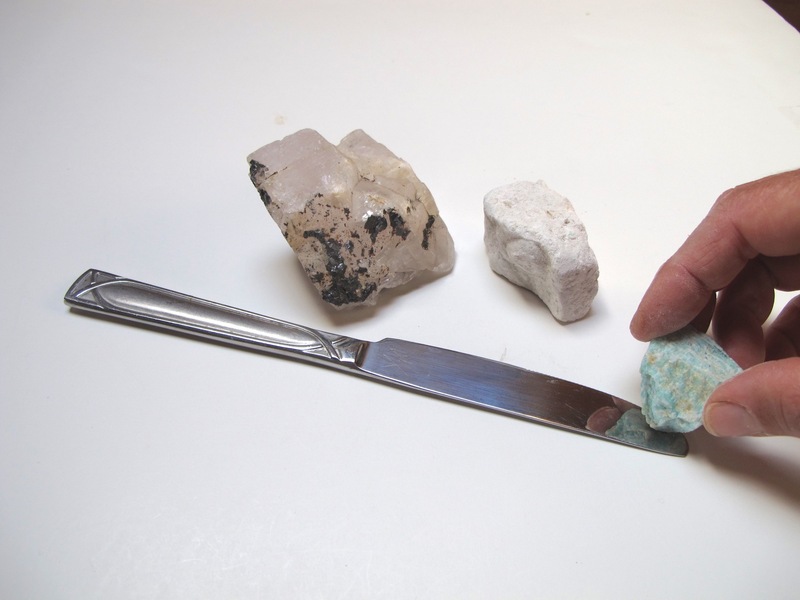 Try some simple tests to help identify minerals: hardness relative to a steel knife blade and streak colour. Rocks may be made up of one mineral, or a group of minerals whose crystals have grown together. 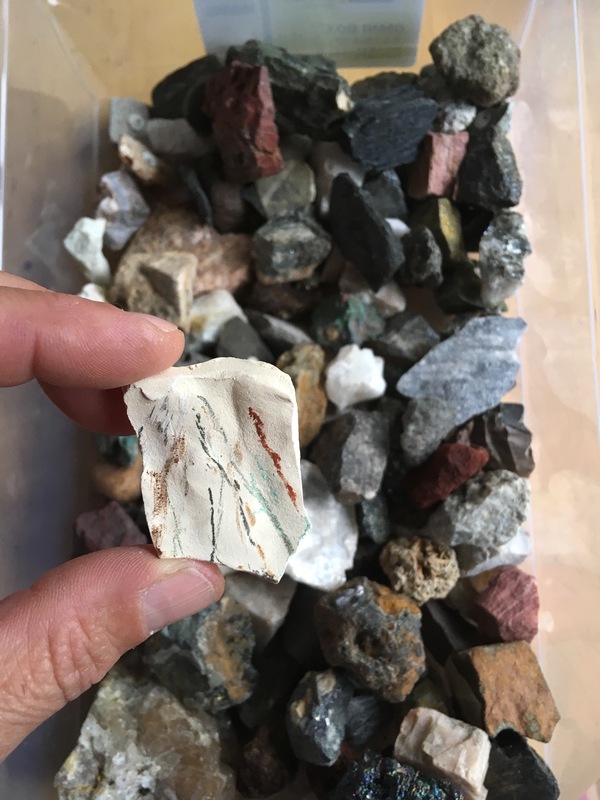 To help identify a rock by the minerals in it, there are a variety of tests including test for hardness and streak colour. The Moh’s scale is a scale of relative minerals hardness from 1 (talc; very soft) to 10 (diamond; very hard). It is used to help categorise and identify minerals. The hardness of a mineral can be measured by how easily it is scratched, either by other minerals of known hardness or with calibrated tools. 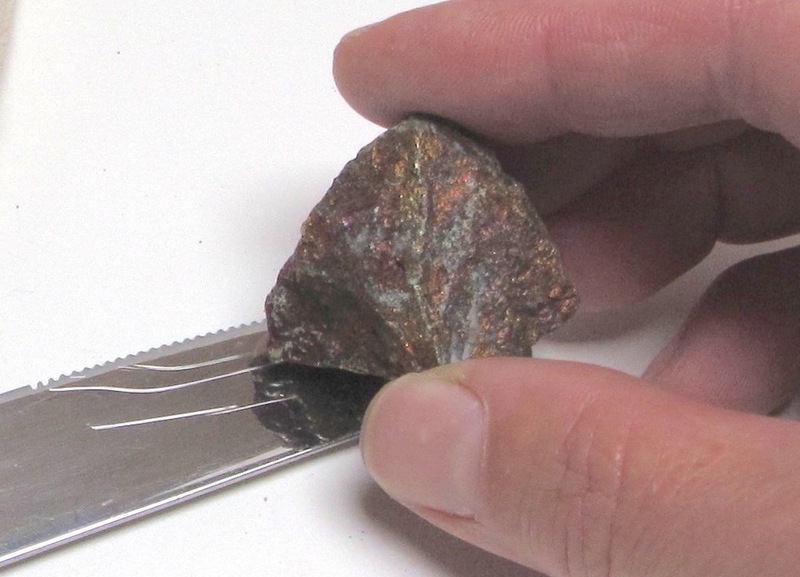 Students use a steel butter knife blade (scratched by minerals more than 5 or 6) to test the hardness of minerals to help identify them (see attached example). Other common materials to test for hardness are: fingernail (2.5), copper penny (3-3.5), steel nail (5) , pocket knife (5.5), window glass (6), steel file (6.5). 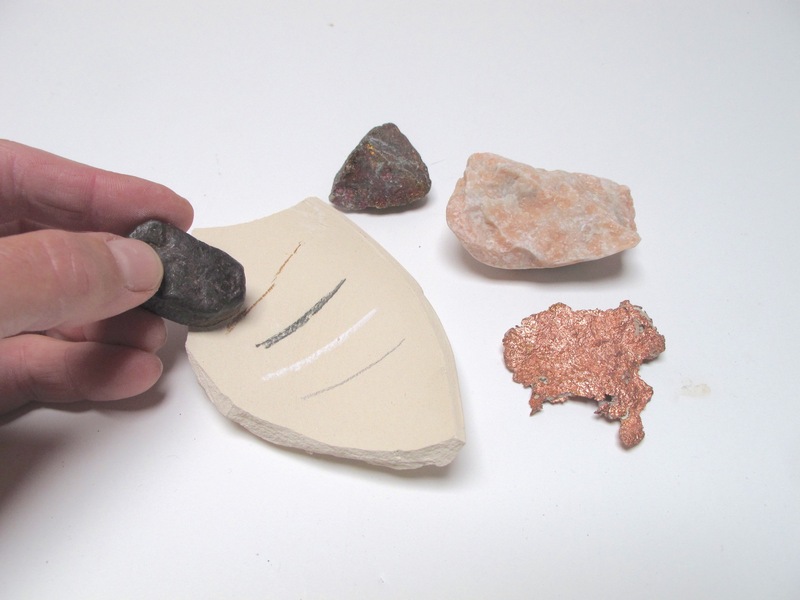 Scrape the minerals across the porcelain to examine their streak colours and identify them (see attached example). These tests can be used to investigate locally mined minerals and their products e.g. bornite is mined in BC for its copper content (native copper sources are rarer). Much copper is recycled. I found that native copper had a grey streak, though it is documented as copper red colour. Therefore I suspect that the "copper" I bought has traces of other minerals - iron?